Sowing Dandelion Seeds: Focus on the Family Advent Fun! Focus on the Family Advent Fun! Check out this free advent devotional available to download! 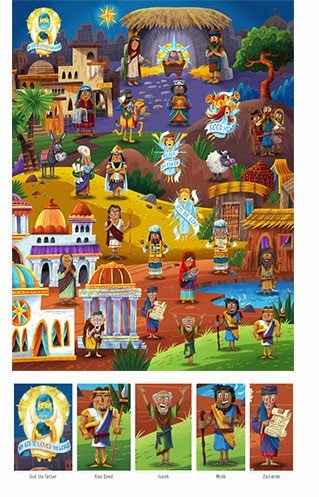 It comes with an interactive poster where you add characters such as King David, Isaiah and John the Baptist to the poster each day as you read about that person's (or animal's) part in the birth of Jesus! Visit Focus on the Family to find out more information!